Olivia comes out for a Scolio-Intensive twice a year and we always do a photo shoot at the end our week together. I miss you, Olivia! This is a campaign we started about a year ago. We’ve been collecting pictures of people and their super-capable spines to promote a positive scoliosis campaign. 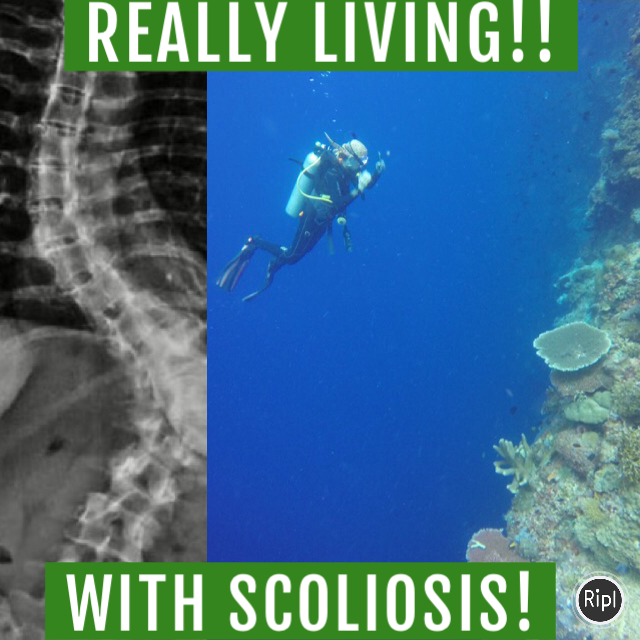 That Yes, with scoliosis you can Really Live. You can have a full life, you don’t have to live in fear that pain will take your life away. Yes, I’ve had pain, Yes, I’ve made changes to my life. And Yes, I am really living with scoliosis. Shelly is also a Scolio-Pilates client and she was recently wondering if she needed surgery. Instead she increased her exercise and hiked Patagonia. Go Shelly! My back pain started when I was 10. I had some pretty tough bouts with it and of course becoming a professional dancer didn’t necessarily help me with my pain levels. But I didn’t miss out on my dream because of scoliosis. I danced. And I had a child. Now I am 48 with a 18-mile backpacking trip planned this weekend. I’ll be carrying about a 40-pound pack. I’m not bragging, I’m trying to demonstrate what is possible. For You. 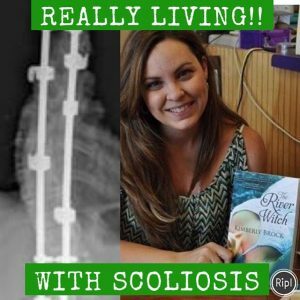 Kimberly Brock, author of the River Witch, is not a Scolio-Pilates client, but we love her post-surgery success with scoliosis. Congratulations, Kimberly! If you are newly diagnosed with scoliosis, you are likely to go online to research options for scoliosis. Along the way, you find forums, blogs and loads of Scolio-information. Often you are going to find desperate stories from people who are searching for answers to stop the pain. 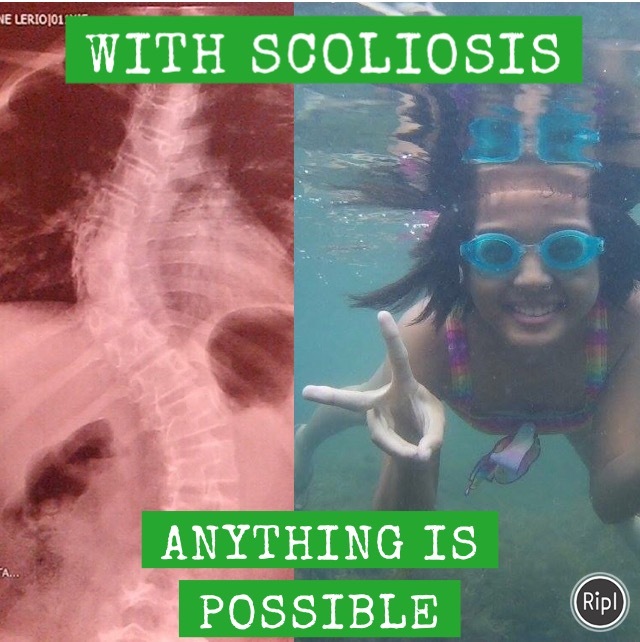 I want you to know that there are positive scoliosis stories out there too. Stories with very, very happy endings. This is a special young lady from the Philippines. She swims every morning in the ocean with her father. And she does Scolio-Pilates with the free YouTube videos to keep lengthening and keep strengthening. Her mother and I are in communication when we need to update something to help her along. You might be in pain now. But there is a lot (A LOT) of hope for your pain to change. Talk to your doctor, see if a non-invasive three-dimensional exercise program might be right for you. In the words of the father of one our young clients, “What’s the worst that can happen? Her spine might get stronger?” Yes, that’s the worst. The best that could happen? You could get your life back. Okay, yes… This is me. I stay strong so I can keep doing the things I love. You’d think with SCUBA that the water would carry the weight. But without a strong core the weight of the tank and gear (about 60 lbs) bows my back in half. I have spent a lot of time flat on my back in the past because of pain. I know exactly what you are feeling. When I had back surgery at 39, the scoliosis got worse and the pain got worse. I was an angry, angry, angry lady. I did Pilates and while it helped in the past, it stopped helping. I did a lot of research and came up with the technique we teach now. 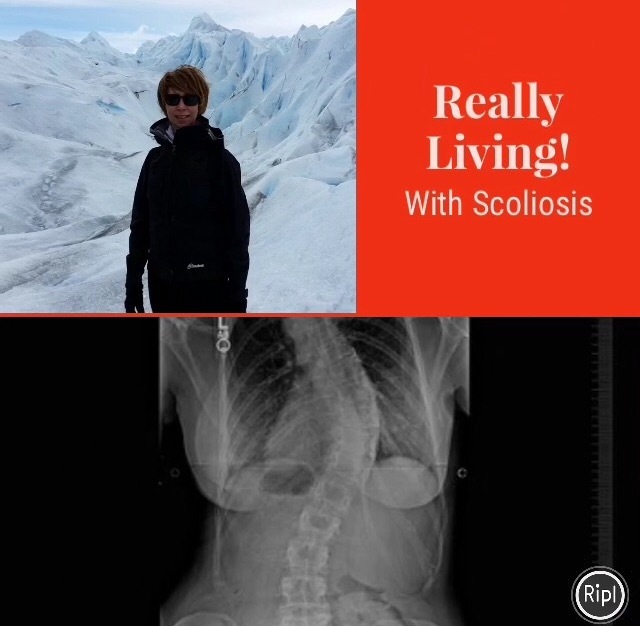 On Instagram, we started a campaign: Really Living with Scoliosis. Some of these folks do Scolio-Pilates. Some don’t. That’s not the point. 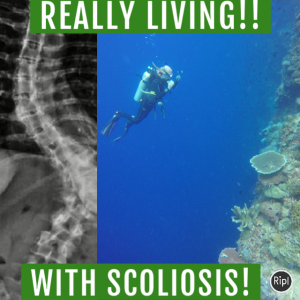 The point is that you can REALLY LIVE with scoliosis. 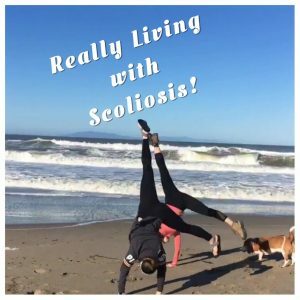 We hope you can share with us also how you are Really Living with scoliosis. 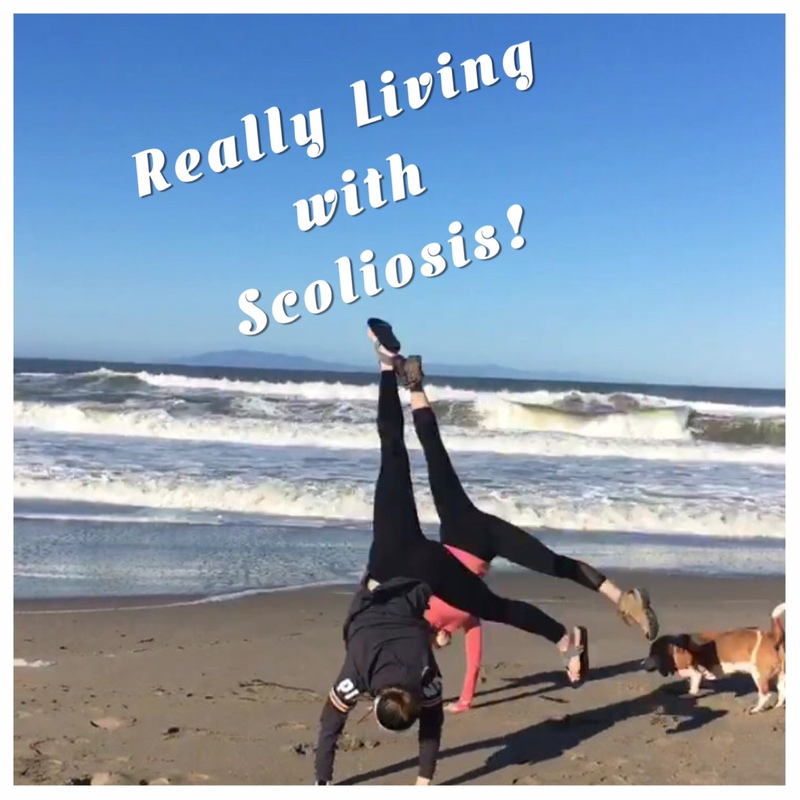 To be part of our campaign, send us a picture of you really living with scoliosis. If you can, include a pic of your X-ray as well. Please and Thank You!